Boise may not take the top spot in this ranking but still lands in the top 20. 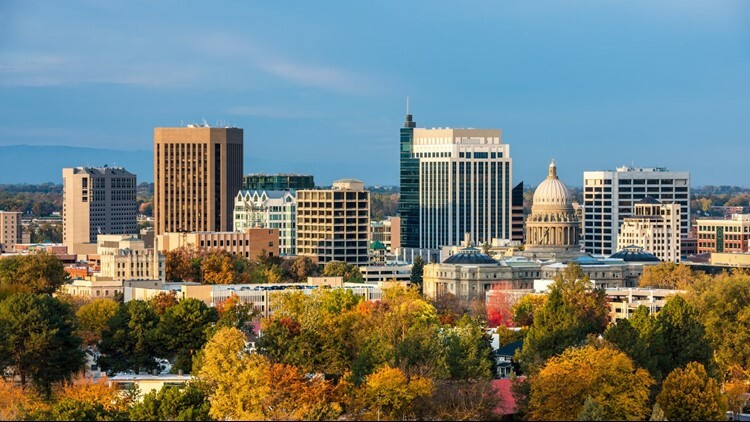 BOISE, Idaho — The City of Trees has been ranked one of the 'Best Places to Live in the USA' by U.S News and World Report, coming at number 17 out of 125 metro markets that were surveyed. Boise's access to outdoor activities was one of the biggest factors that went into its ranking. The U.S News' profile on Boise says, "Boise is a recreationalist's paradise. If you value the outdoors and time spent among rivers, mountains, canyons, deserts and lakes – and all the activities encapsulated therein – it's worth a serious look." MORE: What could ease the Treasure Valley's traffic congestion? Boise scored a 7.1 for value, a 6.9 for the city's job market, and 7.2 for the quality of life for its residents. The ranking also highlighted the City's housing affordability in comparison to other major cities in the Northwest. While the Treasure Valley's population continues to grow, housing prices are climbing too. "Boise's affordability is one of its most attractive qualities, particularly when it comes to housing costs," U.S News said in Boise's profile. Seattle moved up one spot to No. 9. No other Northwest cities ranked in the Top 25, but Spokane checked in at No. 65 (read Spokane's profile) and Salem was ranked No. 77 (read Salem's profile). The rankings are calculated using data from the US Census Bureau, the FBI, and the Department of Labor for the following indexes: quality of life (crime rates, quality and availability of health care, quality of education, well-being and commuter index); housing affordability (dividing blended annual housing cost by blended median annual household income); job market (unemployment rate and average salary); net migration (how many people are moving to or away); and desirability (2,500 people were surveyed, asking which of the qualifying 125 metro areas they'd most like to live). Read more about the methodology.